Custom built web applications can save you time, and money. We have produced applications which are used online by thousands of users. If you have a business need that can't be solved with an off-the-shelf sofware package we can design and build a high quality software solution to match your exact needs. Our developers understand how to build robust scalable and user friendly solutions using the latest technologies. We work with industry standard and open-source tools. We design and build software for the cloud. This means that your web application can scale to meet your demands, both now and in the future. Ensure you future proof your investment. 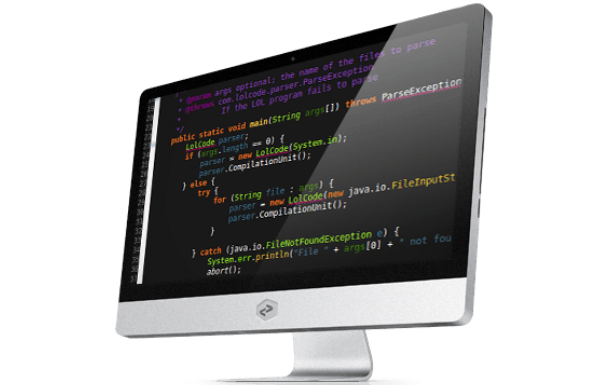 Our software is built using industry standard open source technologies. Choosing open source tools and libraries ensures you aren't locked into proprietary solutions that you can't modify later. You will own the code base for your own custom built web application. You will have access to an online private code repository so you can review and clone the entire code base at any time. All our web applications are built using the same responsive design techniques as our business websites. This means they can be used from desktop, tablet and mobile devices. Access your web application on the move. You can self-host your web application, or we can provide cost effective hosting & support in our cloud hosted environment. Our packages include hourly data backups and business hours phone support for all users. If you have a website or email on your own domain then you will have DNS records. But what are DNS records exactly, and how do they work? If you'd like to learn a bit more about DNS then read on.